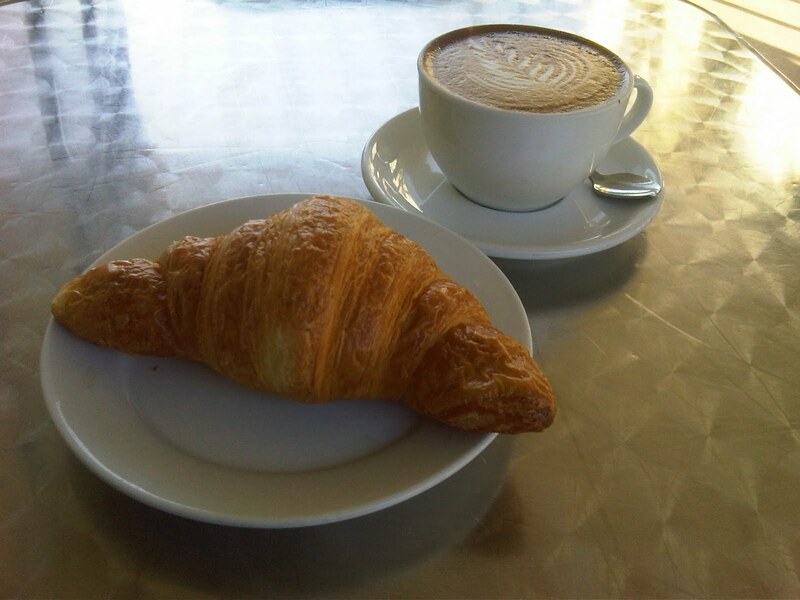 cuppa joe and a chocolate croissant « AFTER THE POP ! it’s a bright sunday morning in april and as i make my way back from st. mark’s, i am aware that some of the funk that had settled around me has begun to shake loose. the sun is showing her face earlier and she lingers lovingly and languishes longer at the end of the day. 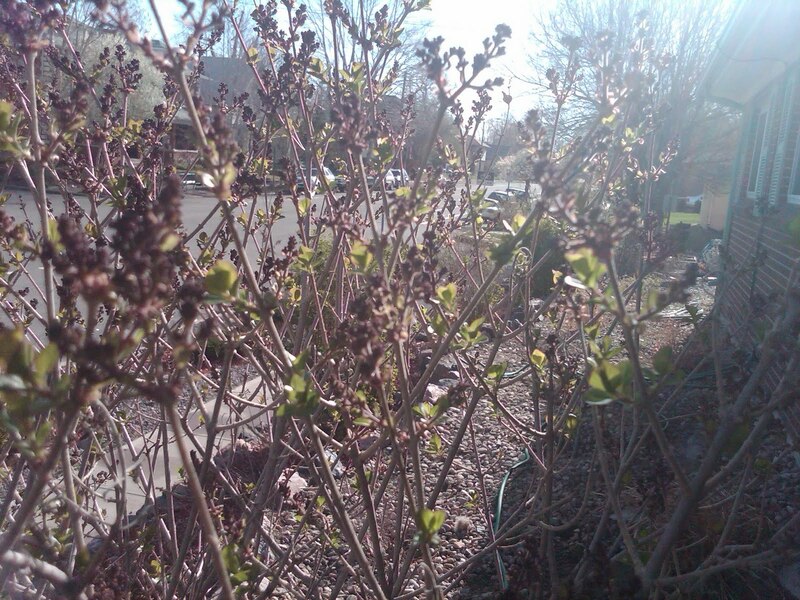 the plantings we did last summer have had me worried as they all looked brown and lifeless, but this last week little buds have been appearing on the korean lilacs, the carol mackie dahnes, and both types of hydrangeas, but the rose of sharons still have me a bit concerned. there are 6 of them in and if they don’t come back, i really will need to replace them. we planted 4 new trees yesterday in the right of way, but those will take 3 or 4 years before we really see any impact. my mood has started to bud just as my landscape has. i am feeling less closed off, experienced a little photosynthesis yesterday and was able to laugh and feel light again. sometimes working with others definitely requires some refueling. this is just what winter offers. a chance to rest and ready for replenishing. i have been receiving some forwarded posts from a family member for awhile which always seem very post-right wing and lean toward obama-lambasting. i rarely read them as i don’t hold those political leanings. and i don’t respond because i don’t care to engage in dialogue that has no real purpose other than disagreement. i certainly haven’t felt it necessary to change her way of thinking and i know she is not likely to nudge mine. Then there’s the hardest part. It’s a lesson Breuning said he learned from his grandfather: Accept death.“We’re going to die. Some people are scared of dying. Never be afraid to die. Because you’re born to die,” he said. i really like mr. breuning’s common sense approach. it leaves me something tangible and attainable to reach toward in my life’s journey. and the response that carried this message gave me a reminder about making room for good things to happen in my life. ‘cuz i never know when another bud is about to appear. all this with a cuppa joe and a chocolate croissant this beautiful sunday morning. and yesterday at hivster from seattle, there was a post about durutti column with a link to “missing boy”. i hadn’t heard that cut for about 15 years or so and it reminded me how amazing vini reilly was (and remains). This entry was posted in 2nd stage recovery, aging, depression, durutti column, hivster, spring.